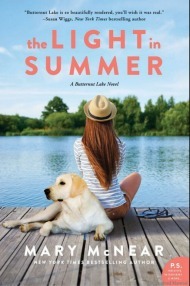 Nat’s One-Sentence Synopsis: When popular high school student Samantha Kingston is ‘gifted’ with the chance to relive the last day of her life–over and over–she learns how her actions and words trigger life-changing consequences. Have you ever read another blogger’s book review and had to get the book that instant? Yep, that’s what happened to me after reading a review of Before I Fall over at Rhapsody in Books a few weeks ago. I played at tracking down a copy at my local library, but it was well past closing time and the wait list for a copy was interminable. What’s a girl (already in her pjs) to do? I simply ordered it up for my Kindle, a dangerous and expensive habit that I can’t seem to break. Within seconds, I was immersed in Lauren Oliver’s debut novel and take it from me–I work in a private high school–she nailed the social pressure, politics, and diction of teenagers. So many of the YA books I read don’t have the authentic quality that Before I Fall had. Maybe some authors are too far removed from teenagers to know how they really talk or about the pressure they face, but my students can sniff out these ‘fake YA’ books in a minute. They constantly come to me for book recommendations and are only interested in ‘authentic books’, or so they tell me. Before I Fall examines one day of Sam’s life and how the choices she and her friends have made over the course of their lives (depicted in flashbacks) come back to haunt them. With each reliving of the fateful Cupid Day, Sam makes changes that alter the course of her day but ultimately can’t change the outcome of the night. My students would immediately recognize Sam for the dynamic character that she is–she slowly changes and evolves as a result of her experiences and choices. On the whole, her attitude, choices, and behavior are less than admirable, but she finally manages to get some perspective and recognizes how her actions impact others. 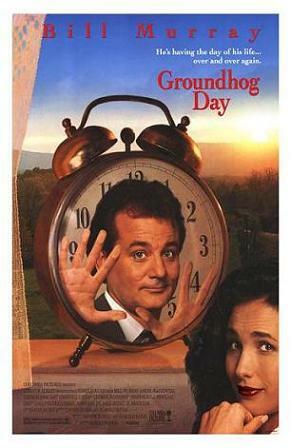 This novel has been compared to the 1993 film Groundhog Day–about an egotistical man who repeats the same day over and over until he gets it right–but it actually reminded me of a book I read as a pre-teen, The Ghosts of Departure Point by Eve Bunting. The book tells the story of a cheerleader named Vicki who is directly responsible for a car accident that sends a carload of her friends over Departure Point to their deaths. Vicki, now a ghost, spends the remainder of the novel trying to atone for her reckless act which led to the accident. Rhapsody in Books: I was not expecting this: a page-turner that I couldn’t put down; a sophisticated plot unfolding like a flower to improve upon a boilerplate scaffold; a poignant journey that touched my heart; and a book that left me feeling both sad and happy. 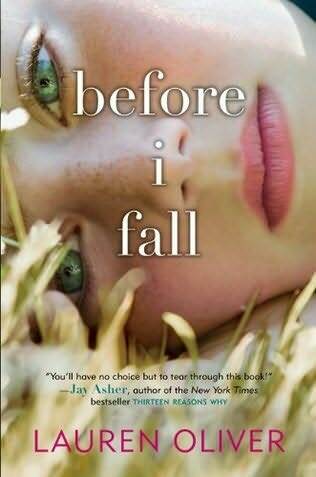 Life With Books: With a gripping premise that lives up to its promise, Before I Fall is one of the few Young Adult books that I thought got it right. 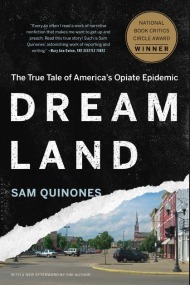 If you’re an older reader, this book will take you back to your own teenage years and you’ll find yourself hoping and praying that Sam figures things out. If you are a young adult (or have one in your life), my guess is you will find a lot of food for thought as Sam struggles to make sense of her world. Reading is Bliss: This was the shortest 480 pages I have ever read. I couldn’t help but want to spend more time with Sam as she fumbled her way through what’s right and what’s wrong in life. Woven within the pages was the perfect blend of suspense, heartbreak, and little moments that really make you think about the meaning of life and of course little life lessons are thrown in along the way. The Infinite Shelf: It’s true I approached Before I Fall thinking of Groundhog Day…but there is much more to this novel … In fact, the book is much more serious than humorous. Oliver managed to create a story that’s heartfelt and filled with a certain hope, too, while avoiding the over-the-top drama. I just ordered Before I Fall for my Kindle for my Hawaii trip. So far I haven’t had a chance to read it but I’m really looking forward to it after reading your review. I was so impressed with the author, as you know! Usually if characters are that unlikeable (as they were in the beginning) I wouldn’t have the slightest interest in reading the book. But I was also hooked from the beginning, and so glad I was. This is definitely on my list of Top Ten Books I Read in 2010! This book has been on my shelves too long – I’ve got to give it a try soon! 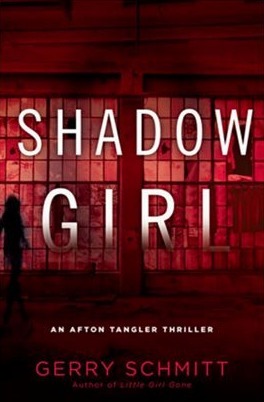 Great review- I’m definitely going to have to add this to my TBR pile! Liz´s last blog post ..Free Inspirational Fiction for Kindle! This one is definitely on my “must read” list! I’m worried it’s going to get me crying, but sometimes that’s good, too. 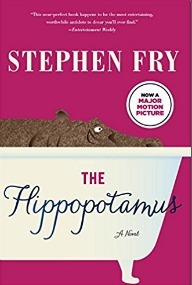 I can’t wait to read this one! I need to make sure I get to it sooner, rather than later. I cannot imagine reliving any of my high school days over and over again!! This books sounds so good. I had it on my list to read “someday” but then after Jill’s review and now yours.. I’d be one dumb bunny not to pick it up. I love that your students come to you for recommendations … and that your experience in a high school helps you to realize that Oliver got it right. (I thought she did too .. but I didn’t know for sure.) Jill at Rhapsody turned so many of us on to this book … and we’re all loving it. 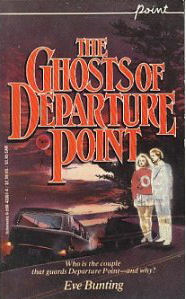 Ghosts of Departure Point sounds kind of interesting too … despite the cheesy looking cover! it’s great to share good reads with my kiddos! i work in a private school, very family-ish, and i love it. This and Delirium are for my Not-So-Bebe Girl Autumn’s Christmas book box. You’re right … teen readers don’t like YA that rushes character development, and the subject of bullying is an important one, so thanks for the review!